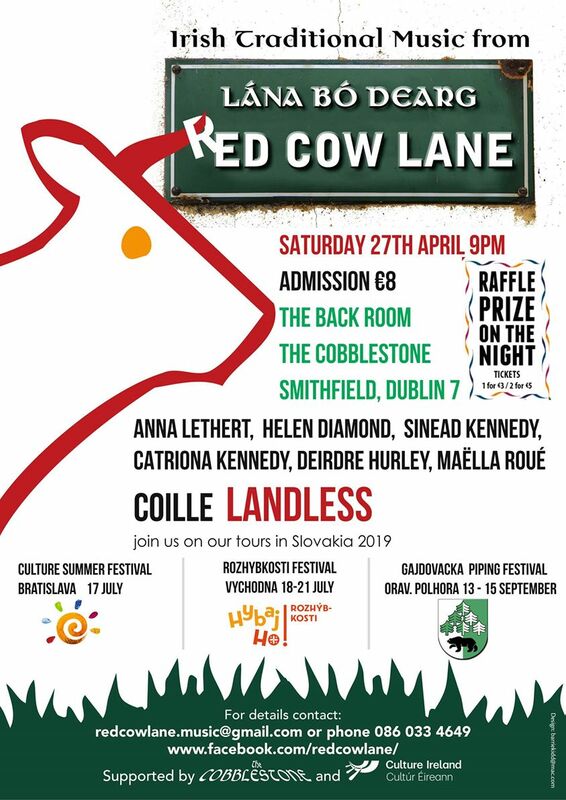 Red Cow Lane – Promo & Fundraiser gig for our tours 2019 – Landless, Coille, Anna Lethert, Helen Diamond, Sinead Kennedy, Catriona Kennedy, Deirdre Hurley, Maëlla Roué and more – all above have been/are going to be participating in festivals in Slovakia. Our Tours are open for you to join us – the best way to support us. Come along for great tunes and more details. Tickets at the door. Raffle Prizes! !